The present report is one of the outcomes of “TOGETHER! Empowering civil society and Law Enforcement Agencies to make hate crime visible”, which is a transnational project co-funded by the Justice Department of the European Commission under the Fundamental Rights and Citizenship Programme. 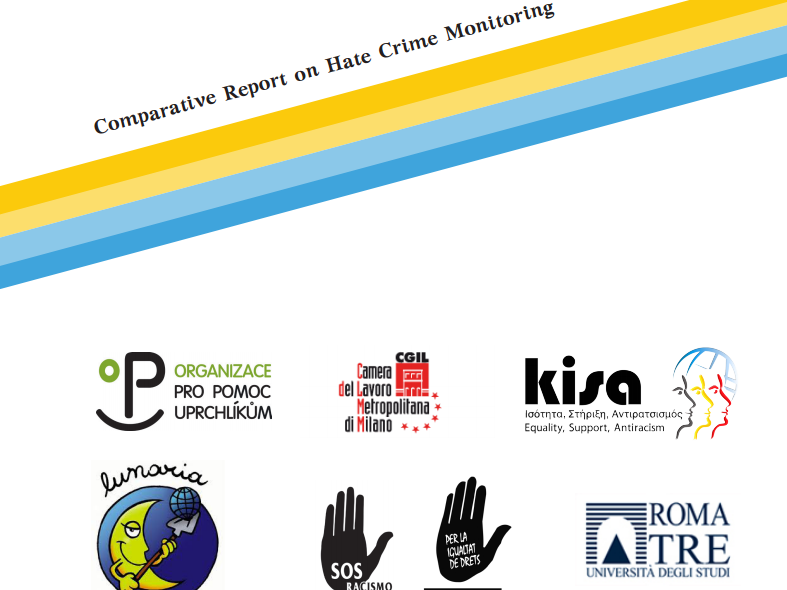 The project was developed in view of the persistent presence of indications that the situation of hate crime based on racism and xenophobia in Europe was not improving, despite the efforts of EU Member States to combat the phenomenon. In fact, as evidenced during the 2 years of implementation of the project, the situation has worsened all throughout Europe and beyond. At the same time, under-reporting of hate crime based on racism and xenophobia continues to be a significant problem across the EU, which leaves victims unprotected and unsupported, while perpetrators remain free and unpunished. TOGETHER! is implemented by SOS Racism Gipuzkoa (Spain), coordinator, in cooperation with the following partner NGOs and academic institutions: SOS Racisme Catalunya (Spain), KISA – Action for Equality, Support, Antiracism (Cyprus), OPU – Organization for Aid to Refugees (Czech Republic), and Lunaria, CGIL – Department of Immigration and Social Policy and University of Roma Tre (Italy). The aim of the project is to improve the capacities of Law Enforcement Agencies (LEAs) and Civil Society Organisations (CSOs – NGOs as well as community-based organisations) in making hate crime visible among European society, which is a vital step to tackle hate crime and address related fundamental rights violations. See the report here.